Yahoo CEO: Executive exodus the "result of careful planning"
Yahoo CEO Marissa Mayer wasted no time when she addressed the company's recent stream of high level staff departures. Mayer brought up the rash of changes almost as soon as Tuesday's earnings call began. The exodus of executives is the "result of careful planning," she said, adding that the company's "leadership team is unequivocally the strongest it's been during my tenure." Mayer then launched into Yahoo's third quarter performance. At least half a dozen senior people have left Yahoo this year. -- Jackie Reses, who was previously Chief Development Officer. Reses was in the role for a little over three years. She was responsible for business partnerships, merger and acquisitions, and heading up the company's HR departments. Reses left Yahoo last week to join Square, Jack Dorsey's payments technology company that just filed for an IPO. -- Lisa Licht, who was SVP of Marketing Partnerships. Licht left Yahoo last week as well, according to Re/code, although it's unknown where she's headed to next. -- And Kathy Savitt, who was chief marketing officer. She left in September to join an entertainment company. Earlier this year, Yahoo also lost its Chief Information Security Officer Alex Stamos to Facebook, and two key advertising executives -- Bruno Fernando-Ruiz and Mike Kerns -- to startups. Mayer also gave an update on Yahoo's plans to spin off its stake in Alibaba on Tuesday. She said the completion of the transaction may be delayed until January. 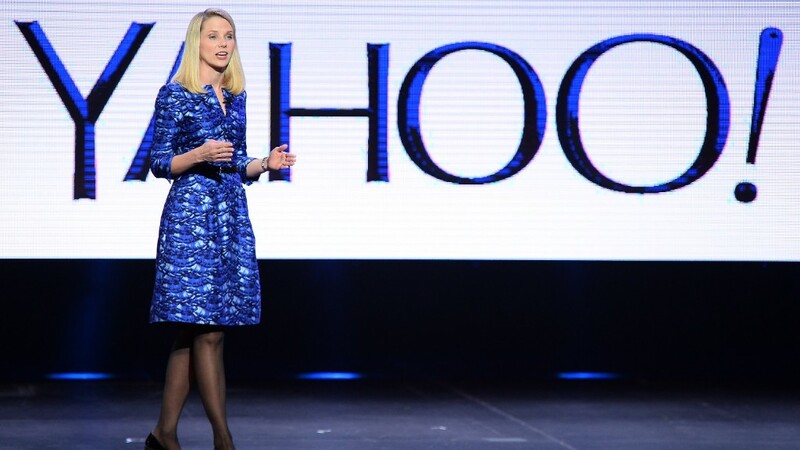 Yahoo (YHOO) reported $1.2 billion in sales during the past three months, a 7% increase. Shares were down in after-hours trading.